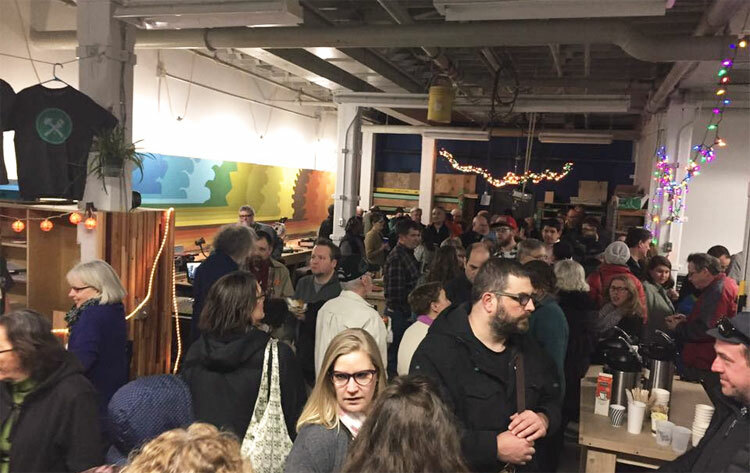 In case you missed the party last weekend (at their new St. Paul location spot next to Can Can Wonderland), celebrating the NE Minneapolis Tool Library, er, I mean the MINNEAPOLIS TOOL LIBRARY expansion, I thought I’d fill you in. St. Paul opening party: Craft Cocktails and Tools! For the last 2 years, the Minnesota Tool Library has been building community and saving people money. Joining their Annual membership is a Thrifty Tip for any maker, home-owner, or random project doer (just $55/year). In the same spirit of the sharing economy, the Minnesota Tool Library has a sustainability AND money-saving mission. Their goal? Take all those tools in your garage that you used 1-time for a project and get rid of them! Your $55/year membership gives you FREE rental of over 2,500 tools for up to 7 days at a time. Plus, you’ll learn a lot more about how to use them. There are regular ‘maker’ workshops that teach you home-care basics. Members also receive 20% off classes and workshops. Members also get access to a small, 500-sqft workshop. Hours of operation are Tuesday and Friday from 5 to 8 p.m., and on Saturdays from 10 a.m. to 4 p.m. Membership is good at all locations. Hours of operation are Wednesday & Thursday from 4-7pm and Saturday 10am – 4pm. $55 gives you all the tools you need! Save money and the environment by "renting" tools for your projects!